Fun tropical theme cards. Pretty colors. color and it is really highlighted here. Wow! These are just fabulous! LOVE your seashell frame! Oh wow! Your koala is too sweet and cute and your second card is totally amazing! Awesome colouring!!! Such fun cards! Love the koala! 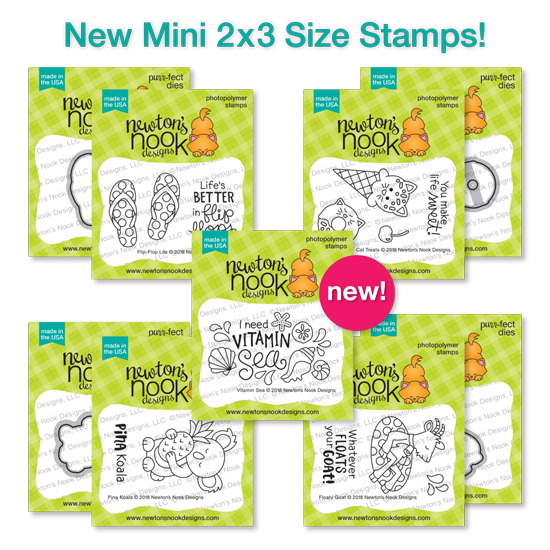 I really like the Vitamin Sea stamp. Too cute. Very pretty cards! 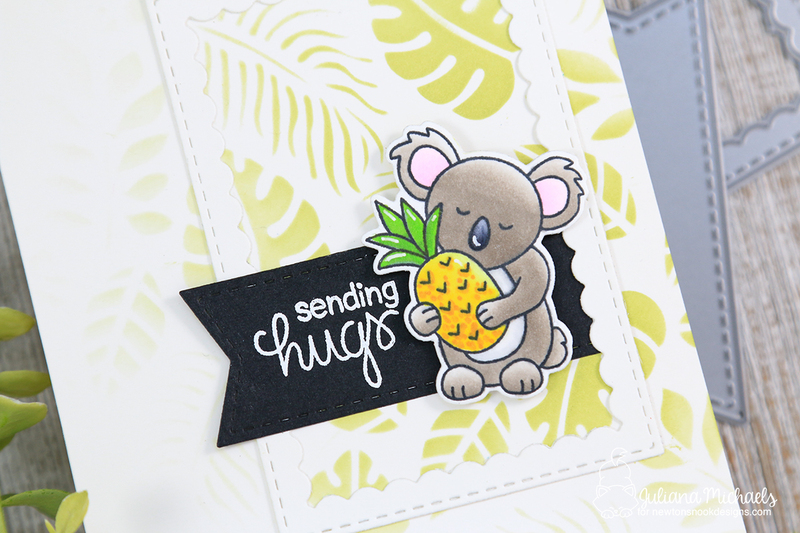 I love the stamped leaves BG for the koala and the gorgeous foil on the seashells. Cute koala card and I like the foiling on the sea shell card. Beautiful cards! 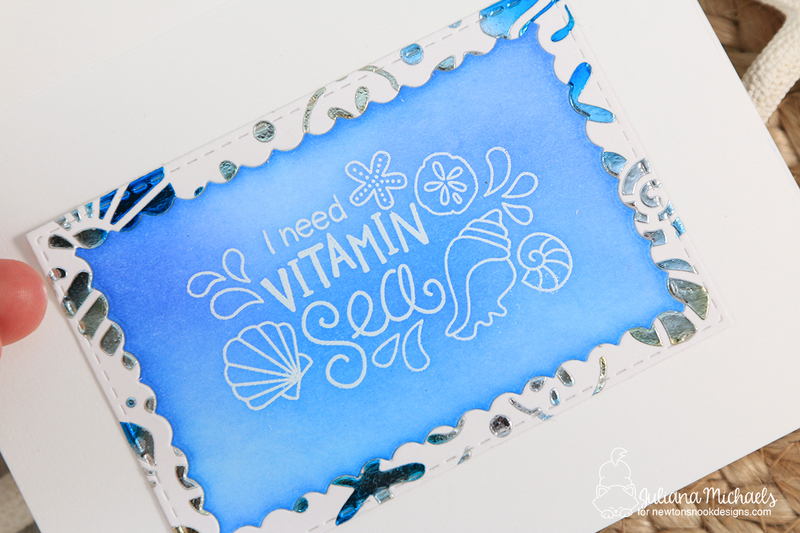 I especially love the Vitamin Sea card! I love the use of the foil on it! And the sweet Koala one too! So Very pretty! Beautiful cards! I love your foiling! Both cards are terrific! I love how you colored the cute koala and the foiling looks awesome. Such cute cards...that koala makes me smile. What a lovely card !! 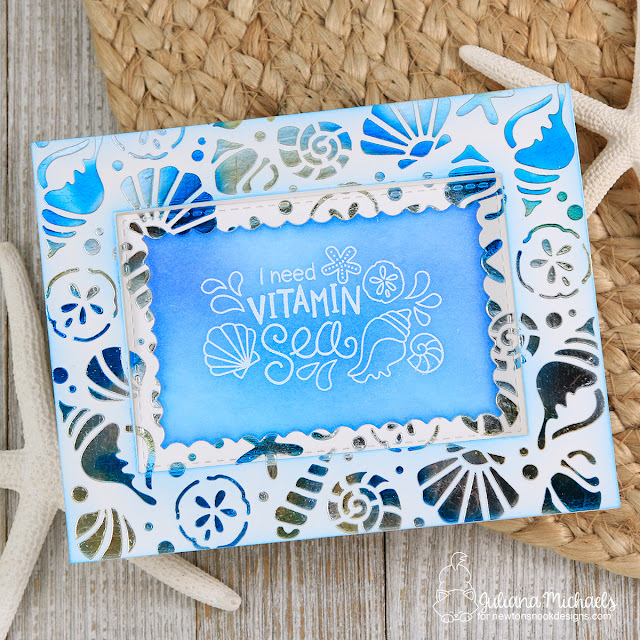 Great idea to foil this wonderful stencil ! The result is superb. So much fun! The koala is my favorite! Such beautiful coloring on the cute koala card! Love your cards! Adorable cards! Those stencilled backgrounds are gorgeous! I am so loving this release! Gorgeous cards! Beautiful and creative use of the stencils! They enhance your focal points so perfectly. Beautiful and just soooo AMAZING! They just really make me happy when I look at them!! Your card is beautiful ! 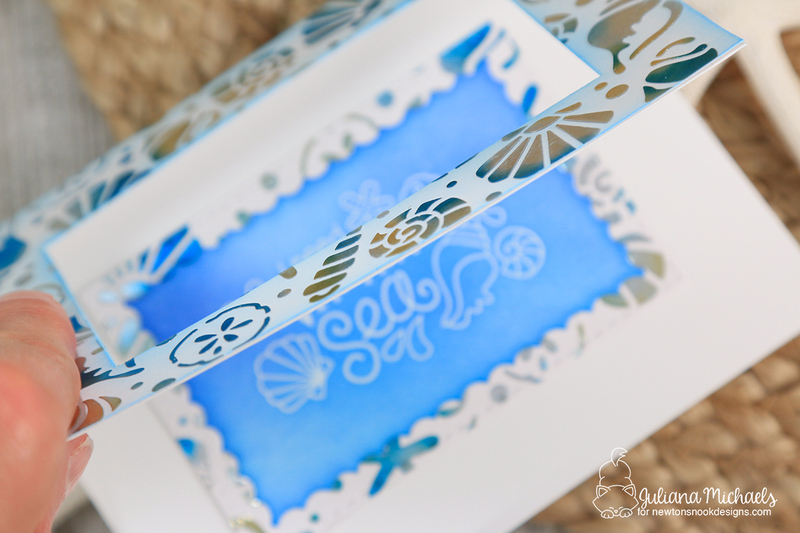 I love Deco Foil you've selected for your last card, it's perfect for a sea background.